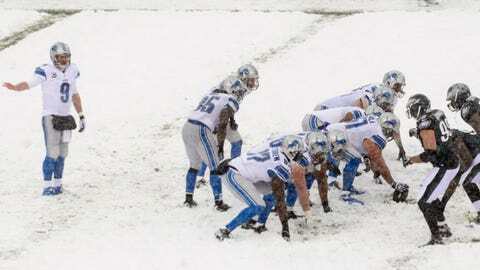 ALLEN PARK, Mich. - This time, the Detroit Lions are trying to ignore the roar. "We’re blocking out what everybody thinks about us," center Dominic Raiola said. "We really don’t care." "He was like ‘You guys are sorry. It’s the same thing I’ve been seeing all the time. I’ve been seeing this repeat forever,’" Burleson said. "He’s been upset and let down time and time again. "I said, I get it. It’s our job to change that.’ I told him I’d come back in three weeks when we make the playoffs and we’ll have a different conversation. He said he’ll be cheering for us." "I get those same conversations when I’m at the grocery store, gas station or at the mall," Burleson said. "It doesn’t matter if you’re homeless or you’ve got a million dollars. 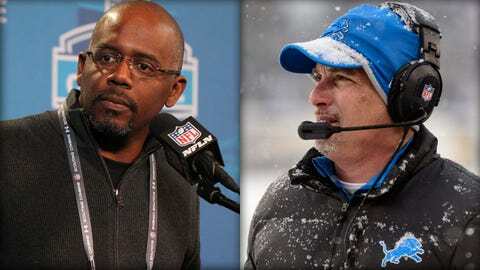 If you love the Lions and we’re letting you down, you can feel a certain way about tough losses." Every game is kind of win or go home. "The playoffs start in a couple weeks but for us the playoffs have started now," said running back Reggie Bush, who expects to return from a calf injury and play on Monday. "Every game is kind of win or go home." "We have a chance to correct everything," Burleson said. "Winning is a cure-all. "It’s going to have to click on Monday night. It’s going to have to happen Monday." "I’ve moved on. There’s a lot that goes on in a silent count. No reason to blame anybody, anything or any condition. It happened. That was one play." "There were 5-6 inch snow drifts right behind the ball. Sometimes I didn’t have time to clear it out. I had to pick it (the ball) up and throw it over the drift." "I said, You’re the best guy who breaks tackles at the running-back position. You are literally one of the best I’ve seen. Today’s not that game. You need to take your first hit and start to get down.’ And then he goes and hurdles a guy, and I’m like, "All right, I’ll shut up.’"